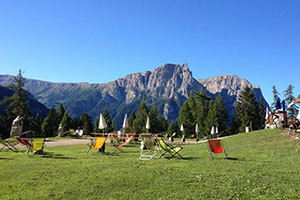 The small idyllic Marinzen Alp lies directly above Kastelruth-Castelrotto, extends on the mountain slope of Puflatsch-Bullaccia on the north-western edge of the Seiser Alm-Alpe di Siusi and is a true secret tip for all those seeking peace. 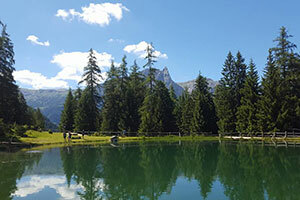 Particularly holidaymakers in Kastelruth-Castelrotto, Völs-Fiè or Seis-Siusi should put the Marinzen Alp as a trip destination on their list. 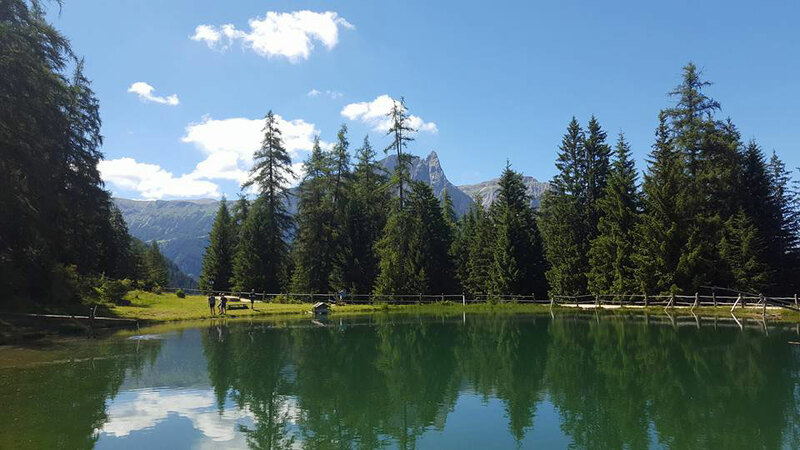 The Marinzen Alp is an ideal place to relax, as well as an ideal starting point for numerous walks and hikes in the Dolomites for the whole family. 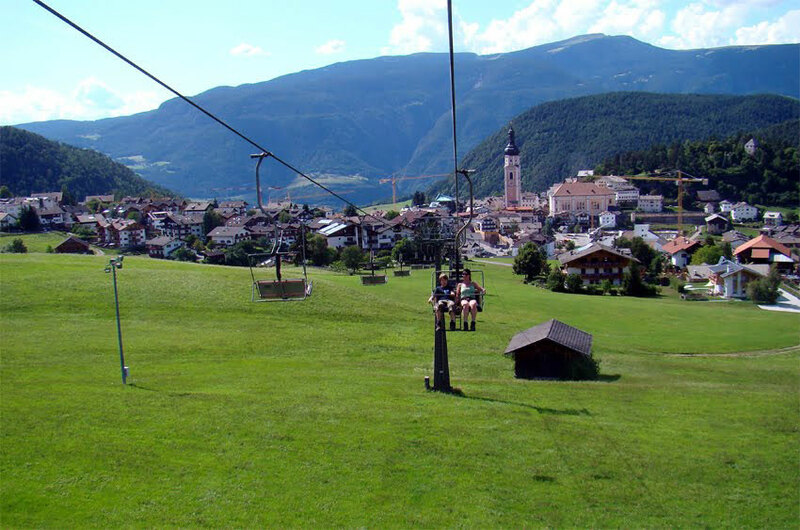 The Marinzen chairlift takes you to the picturesque Marinzen Alp and during the ride in airy height you can enjoy the breathtaking views of Kastelruth-Castelrotto and the Schlern-Sciliar area. 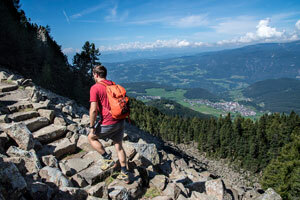 You can also hike directly from Kastelruth to the Marinzen Alp. 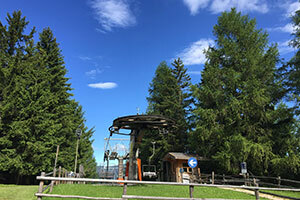 The hiking trail starts behind the valley station of the Marinzen chairlift and leads through lush meadows and forests to the alp, which also inspires mountain bikers. Opening hours in summer, in winter we are unfortunately closed. Our summer rates, in winter we are unfortunately closed. 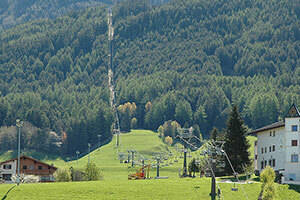 How to reach the Marinzen Alp: The valley station of the Marinzen chairlift is located near the centre of Kastelruth-Castelrotto. 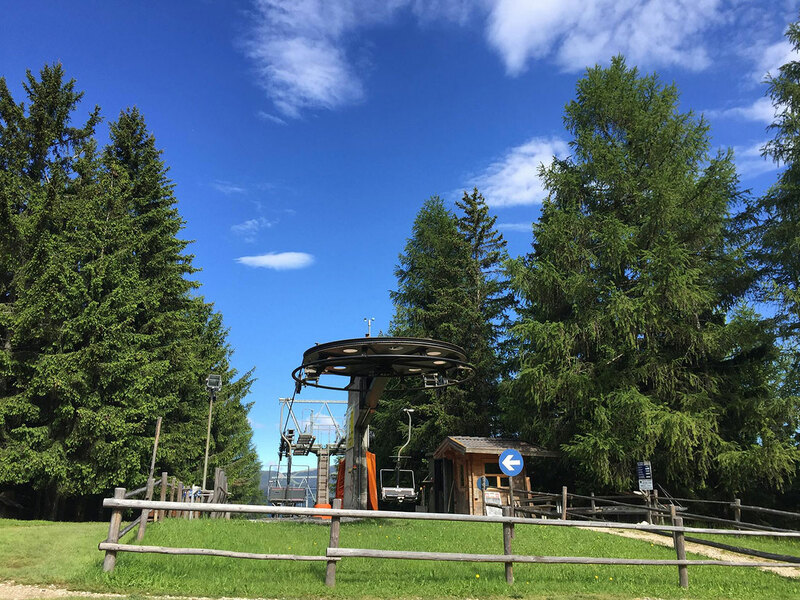 The lift takes you to the beautiful Marinzen Alp, which is situated at an altitude of 1500 meters, and even directly to the idyllic Marinzenhütte, the Marinzen mountain hut. 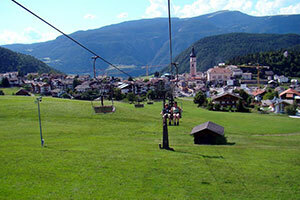 Taking the chairlift Marinzen, in the immediate vicinity of the village centre of Kastelruth-Castelrotto you reach the Marinzen Alp in a few minutes. From there you can undertake a series of exciting hikes. 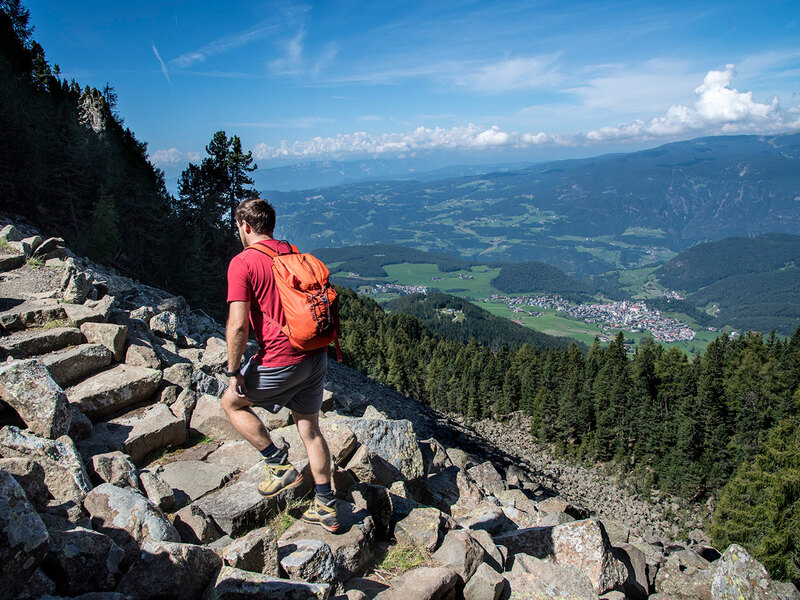 The beautiful excursions to the Puflatsch-Bullaccia or to the Seiser Alm-Alpe di Siusi, Europe’s largest high plateau, are just two examples that will make the hearts of hiking enthusiasts beat faster. 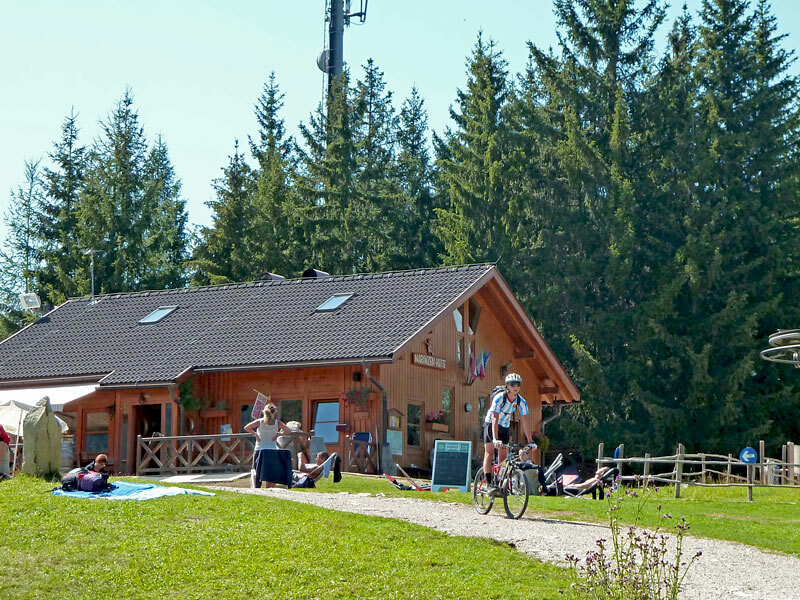 For those who want to spend some time on the Marinzen Alp, the mountain hut Marinzen with its beautiful sun terrace as well as the beautifully situated Schafstallhütte (about 15 minutes’ walk away) invite to stop off. 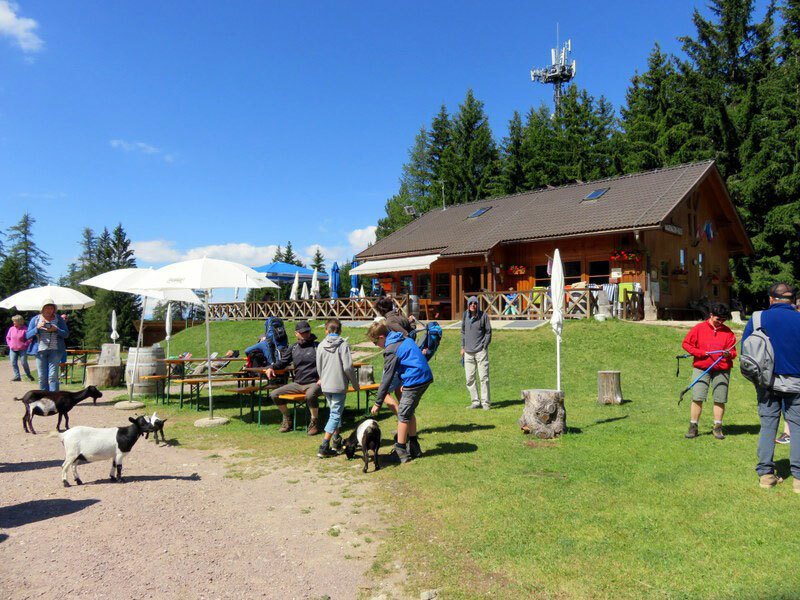 There is a petting zoo for the little ones on the Marinzen Alp as well as a big adventure playground and a fish pond for fishing (day passes and fishing pole can be borrowed at the Marinzenhütte). 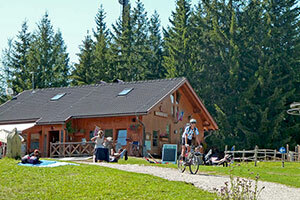 Marinzenhütte/ Marinzen mountain hut: The small alpine pasture has much to offer: children’s playground – fish pond – petting zoo – lawn for sunbathing – sun loungers – and all this for free! 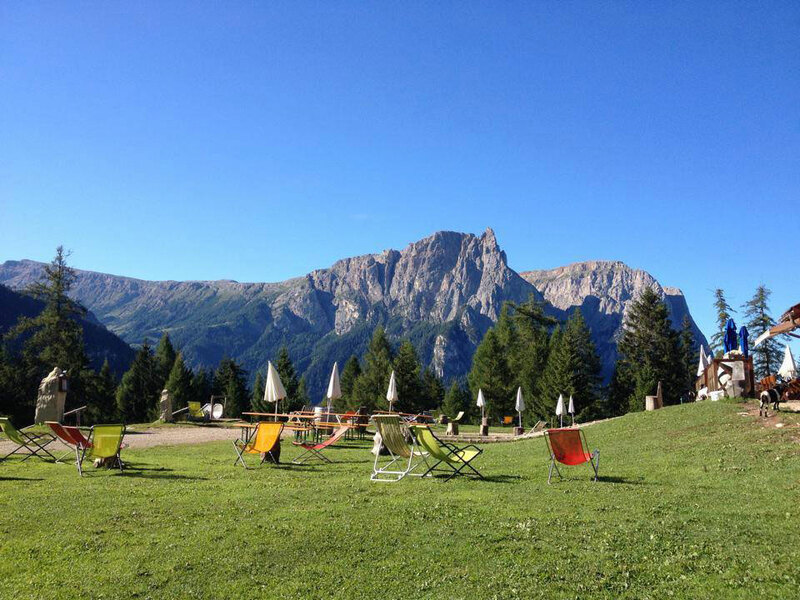 The Marinzen hut is ideal for a stopover after a long hike in the Schlern-Sciliar area or just to relax and enjoy the spectacular panoramic views over the Dolomites. 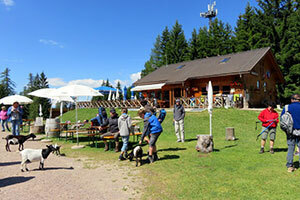 Furthermore, the restaurant of the Marinzenhütte will delight you with delicious South Tyrolean dishes. Our partnersGuests of our partner companies travel for free or with reduced-price ticket!